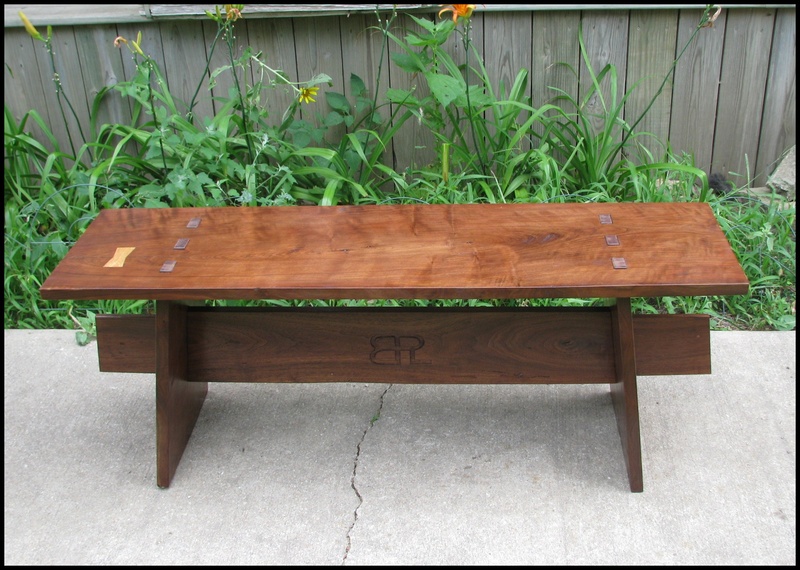 A trestle-type black walnut bench for the Big Horn River Lodge in Montana. Of all the production pieces I have been building, the benches are the strongest design. 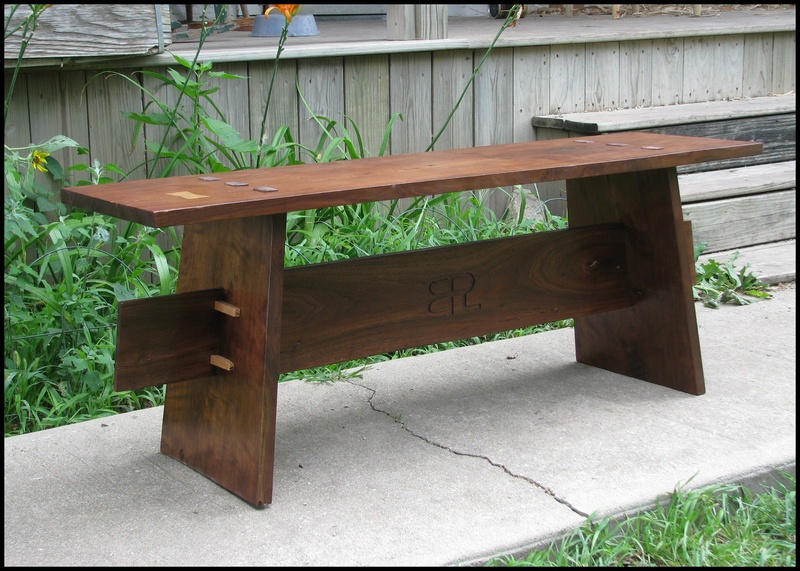 All mortise and tenon joinery, there are no metal fasteners or glue used in these benches. The grain and figuring on the wide slabs of the old black walnut is very beautiful. 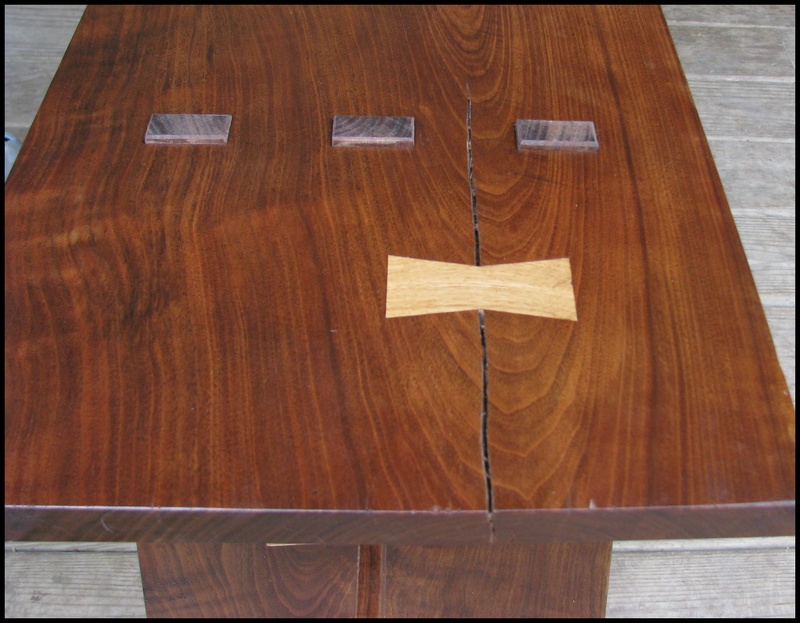 The white oak butterfly joint helps control the split in this piece. Much of the walnut in the furniture I have been building over the past 15 months came from a stack of wood in a flooded basement in an abandoned house in South East Kansas. Not just the bench, but what you do is great. I have been wanting to really get into working with wood, but my job does not give me enough time. Your work is reall beautiful. Thank you for your kind words. I am grateful that I have the time to work.